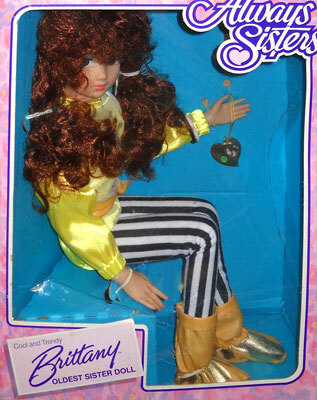 "So poseable, they seem real!" 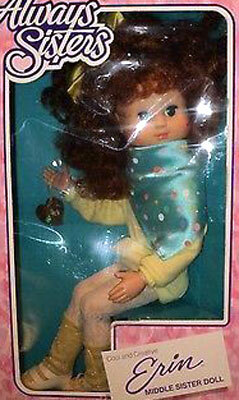 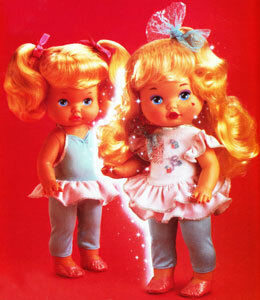 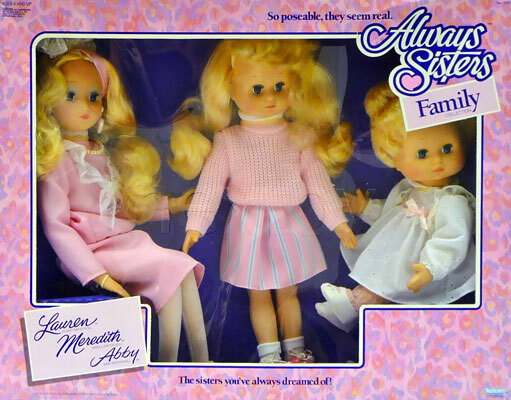 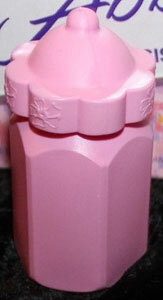 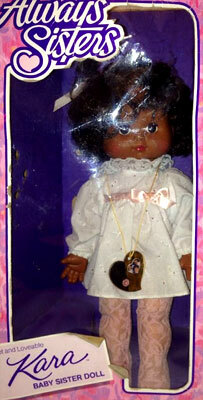 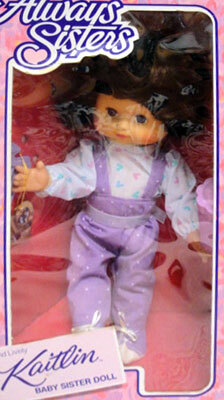 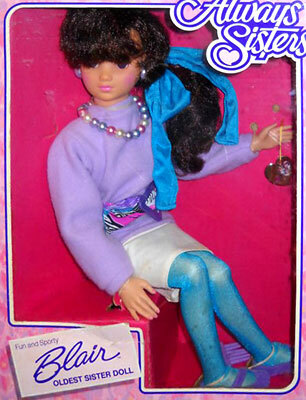 Always Sisters were produced by Kenner in 1988. 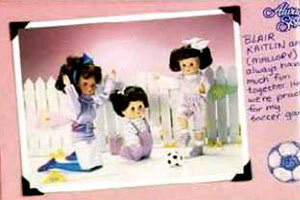 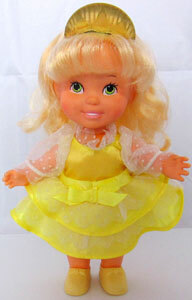 There were 12 dolls in the series, four groups of three sisters. 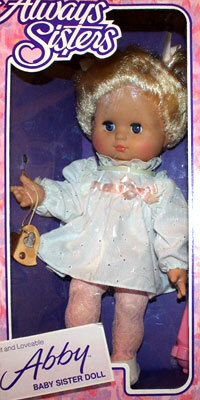 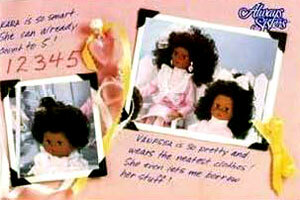 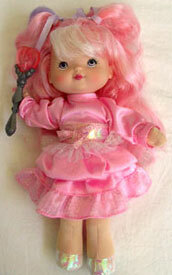 Each set of sisters had different coloured hair, and the dolls ranged from 22-14 inches. 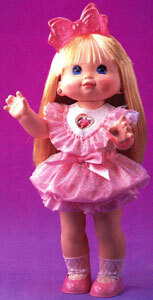 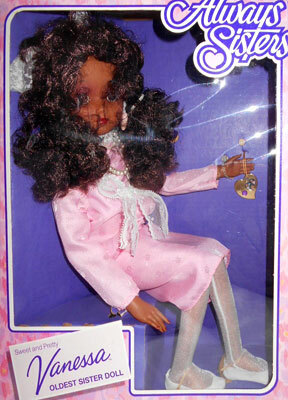 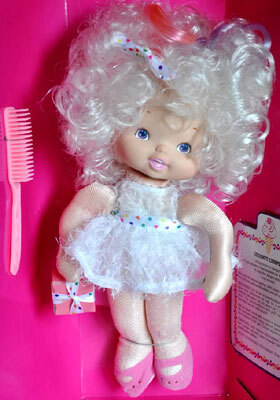 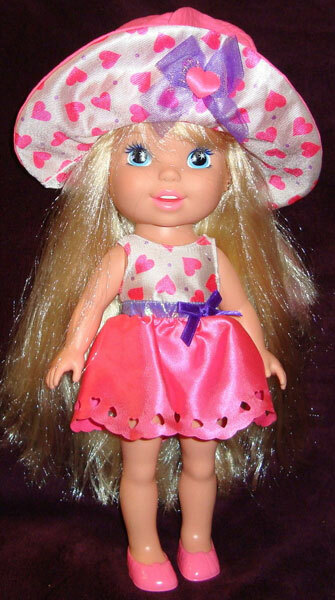 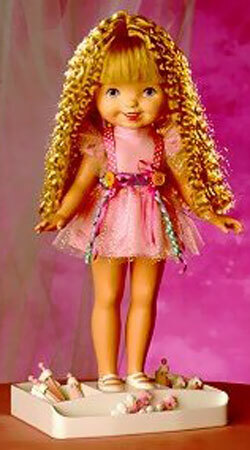 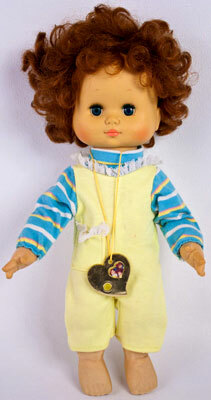 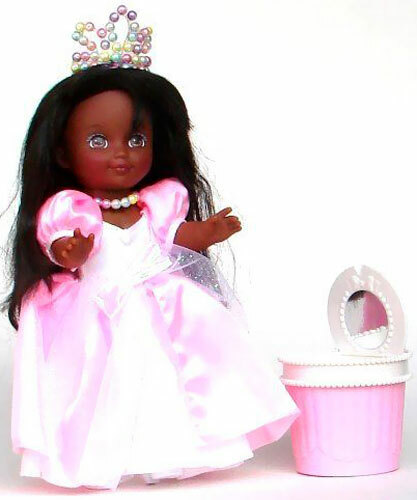 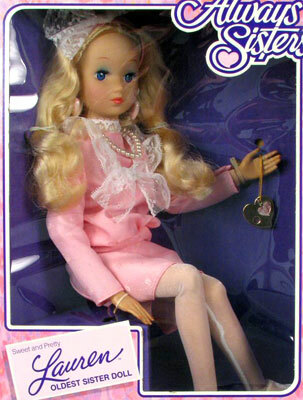 There were also eight sets of outfits produced for the largest dolls. 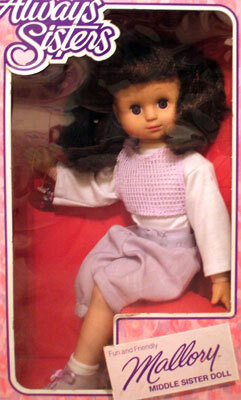 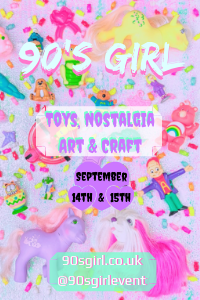 Images on this page thanks to Andrea, Roxanne's Website of Barbie Dolls and Accessories, and eBay sellers Dennis-Collectibles-Dolls-And-Toys , nextoy , ozzie1878 , jan2703-a45hd , beteshop , elambdesign , jelibeanie and wegot80stoyscheap ! 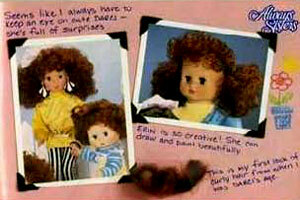 There were 12 dolls in the series, four groups of three sisters, and each set had different coloured hair (blond, brunette, red and black). 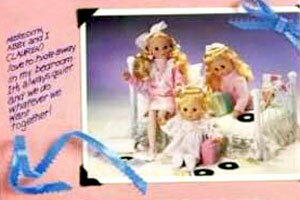 The eldest sisters were 22 inches, the middle sisters 18 inchs and the youngest sisters 14 inches. 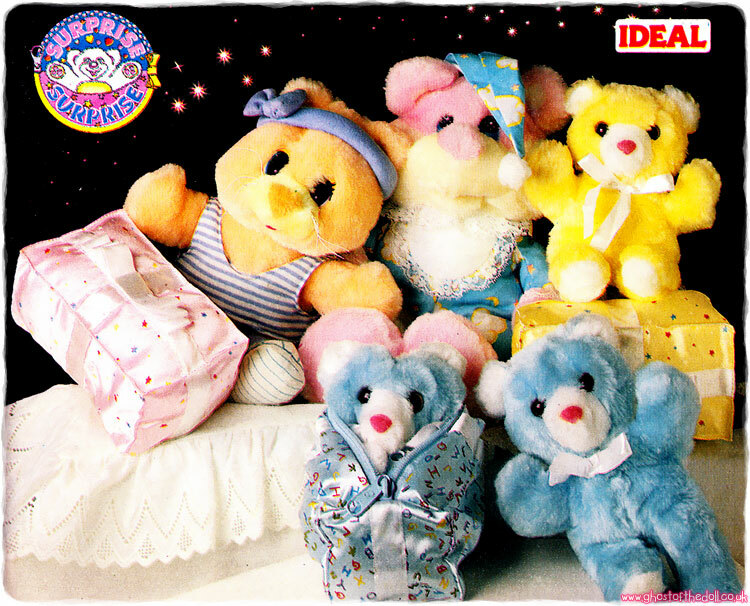 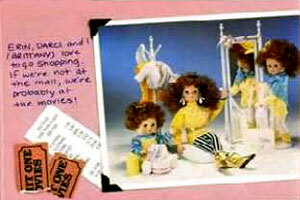 They were sold individually, and also in family sets. 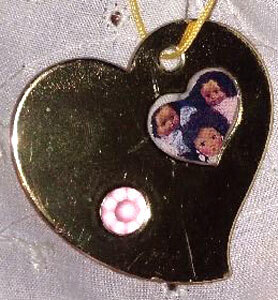 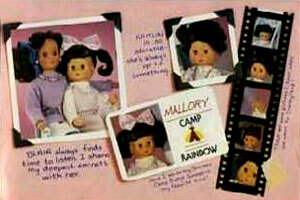 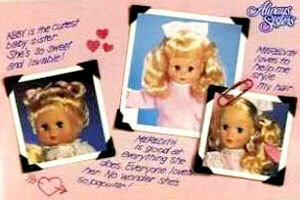 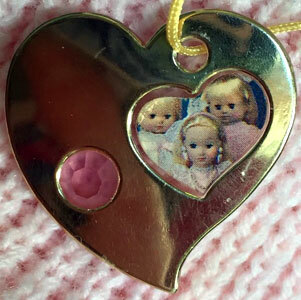 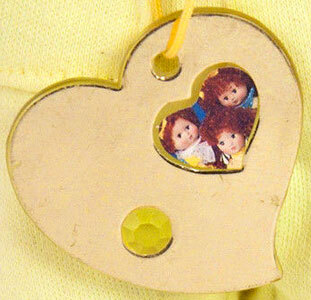 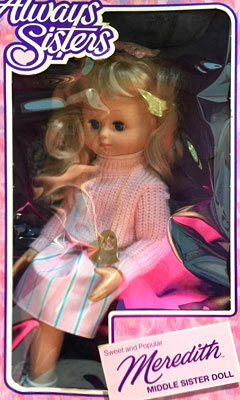 Each doll came with a heart shaped pendant with a photo of the three sisters they were family with. 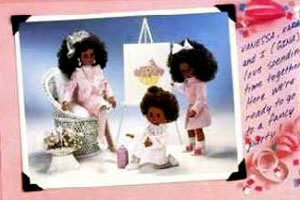 The middle and oldest sisters each came with a brush, and the baby sister's each came with a brush and bottle. 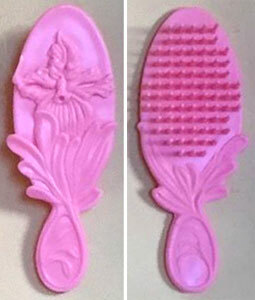 The blond and black haired sisters brush/bottle was pink, the red haired sisters was yellow, the brown haired sisters was purple.